True to my word, I went craft shopping today to stock up. I purchased some more clay, lots and lots of jewelry making supplies, some fabric to make a garland, beads, a box to put all my gear in and much more! $90 later... but hey you can't really complain about buying things for a hobby that you thoroughly enjoy. Today I also purchased a diary! 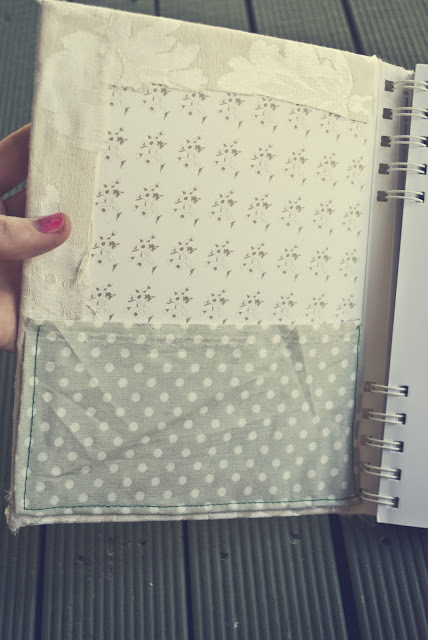 I then covered this diary with fabric, glued on a square cutout of polka dot fabric, sewed on some beads that outlined "2011" and created a pouch to store some paper inside of the diary. I was actually quite bummed that I missed out on the Frankie diary because it looked so lovely! Then I thought, why not make my own? 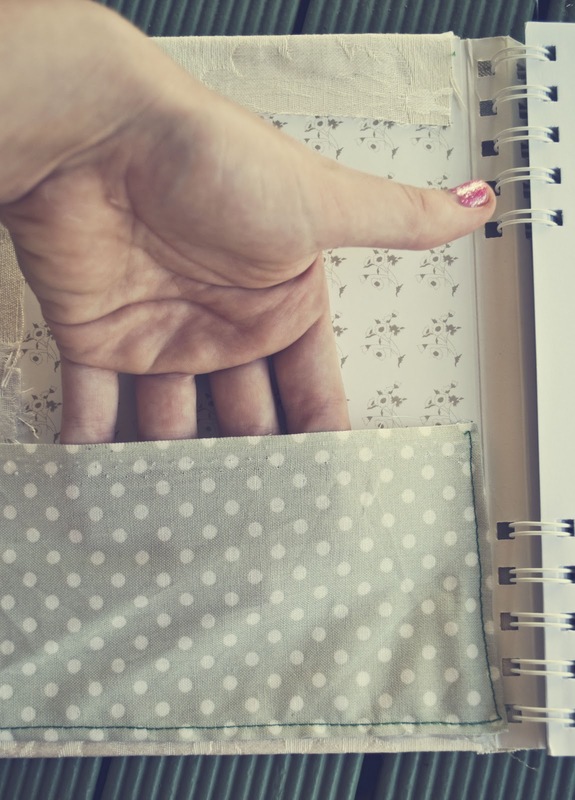 No one else will have it and its much more satisfying creating something all by yourself. Having a diary so pretty will motivate me to get more organised right?? Here are some photos of it! 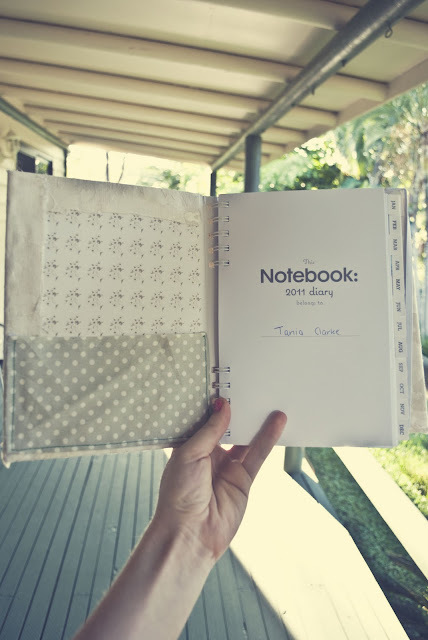 It is the Notebook magazine diary..you can find it at any newsagents that sells the magazine "Notebook." It had quite a nice cover, but I like mine so much more! 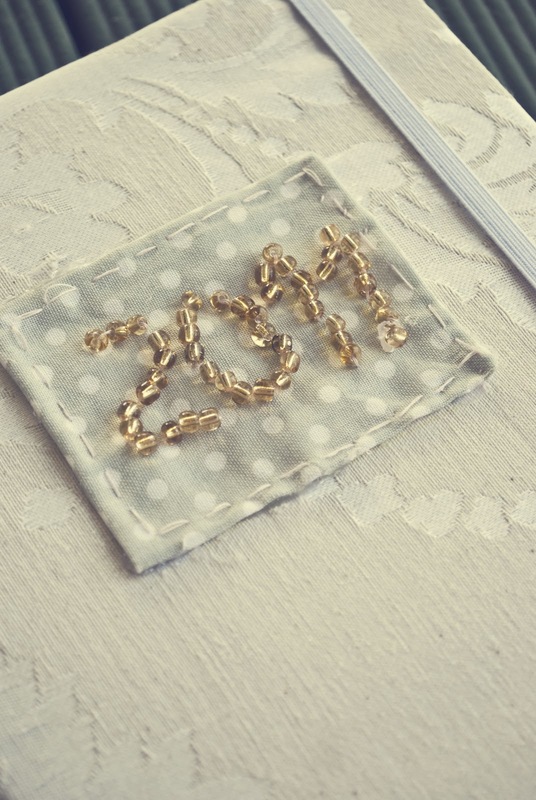 I covered the diary with fabric, then sewed around a rectangle of polka dot fabric, after that I beaded the 2011 onto the rectangle of fabric then glued it on the diary. I also added the elastic strap to hold it together. Can't wait to fill it with some important notes! 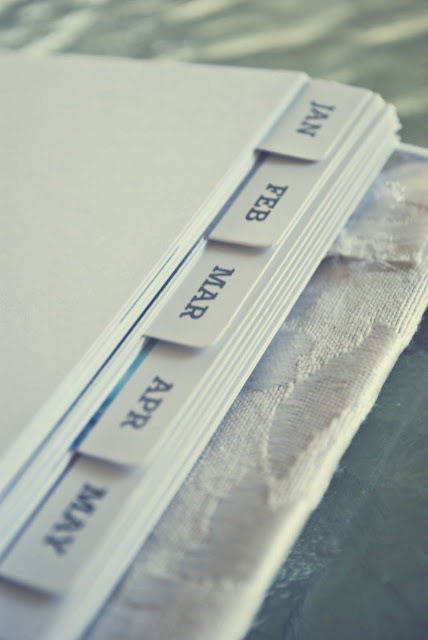 I love these little month tabs! 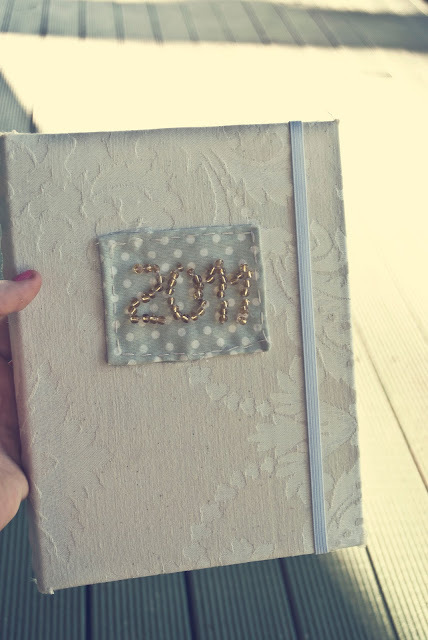 Have you got your 2011 diary yet?